Roanoke River Light House - Edenton waterfront. I would like to romanticize the story on how Charles and I discovered historic Edenton but I can’t. We found this quaint town all because of GOOGLE! Yes, Google. I told you it wasn’t romantic. At the end of summer in 2008, Charles and I were beginning to think about our plans for Christmas that year. Our hearts were yearning to visit someplace that felt like Christmas and was reminiscent of Christmas past. We were looking for a place that was deep in history, had beautiful historic homes and that offered a small town Christmas feeling that we remembered as children. I grabbed my laptop and typed “Christmas Towns" in the Google search bar. Honestly, we were not even sure if a place like this existed anymore. And we were definitely surprised when our search resulted in a town that was so close to our home. The search led us to the "Visit Edenton" page and where we quickly found their “Candlelight Home Tour” that is held annually on the second weekend of December. In addition to the home tour, the town offered many different events during that weekend from Christmas caroling in the 1767 Chowan County Courthouse to the James Iredell House Christmas Groaning Board (both are my favorites). Once we realized that Edenton was only a 2-hour drive away, we made reservations at a local bed and breakfast while we anticipated our upcoming trip. Early that December, we arrived in the quaint town which captivated us with its beautiful historic homes, inviting downtown area, and peaceful waterfront that made our trip one to remember. 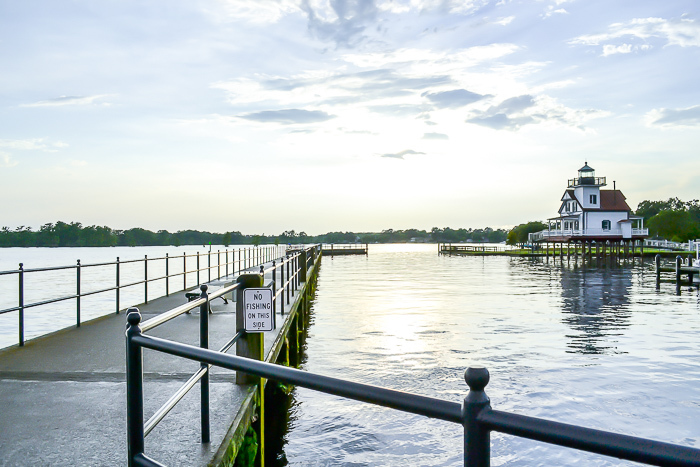 We fell in love with the charm of historic Edenton and all that it offered that weekend almost 10 years ago. Little did Charles and I know that it was then that our journey to the Cotton Mill House would begin. I will be sharing the rest of our journey to the Cotton Mill House with you soon. Until then, have a wonderful weekend.